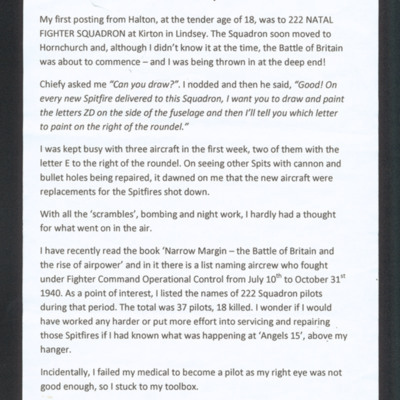 Recollection of work Ken Hicks carried out during the Battle of Britain on 222 Squadron at Royal Air Force Hornchurch. He notes that 37 pilots of 222 Squadron fought in the battle and 18 were killed. 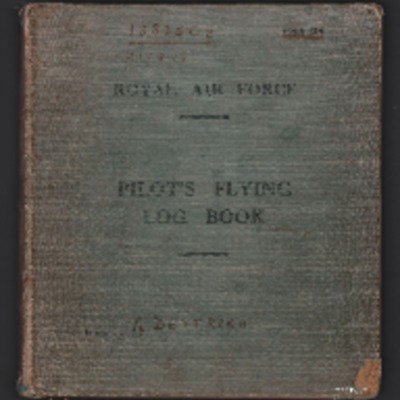 The Bomber Command Digital Archive is an initiative of the International Bomber Command Centre (IBCC). The Lincolnshire Bomber Command Memorial Trust (Registered Charity No. 1144182) and the University of Lincoln are partners in delivering the IBCC.